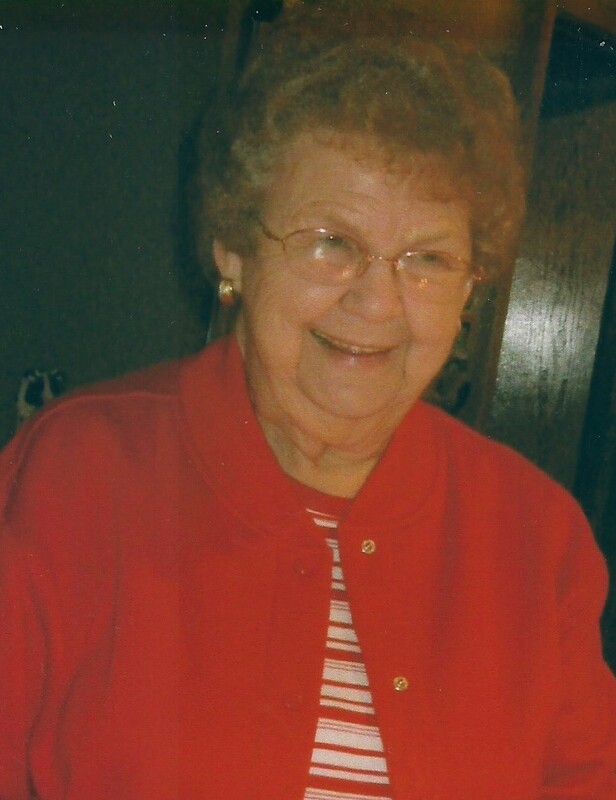 MALTA- Doris Holman, age 92, our beloved mom, mother in-law, grandma, great- grandma, great great-grandma, aunt, and friend passed away peacefully in her home March 26, 2019. Doris was born on February 14, 1927, to Stanley and Clara McNamara and was named Doris Valentine McNamara. They lived in Whitewater Montana until she was 7 years old and then moved to Dodson Montana on a dairy farm where she attended Dodson School. That is where she met her true love, Clifford Holman; they married on August 4, 1944. Doris and Clifford lived on the Holman Hereford Ranch at Dodson, MT for five years before moving three miles west of Malta, MT where they ranched and raised their children. She was a dedicated wife, working alongside her husband on the ranch, supporting loving mother and worked outside the home at Hi-Line Packing and Malta Rest Home. Doris had a green thumb for houseplants and a huge garden. She enjoyed crocheting, giving afghan’s to family members and donating to local causes. She was an amazing cook, no one ever left hungry. Above all, she loved her children, grandkids and any dog or cat that showed up on her doorstep. She walked many of miles on the ranch with them all! Many times mom would say how blessed she was to be able to live in her home. Her children and all the people she loved stopped in for numerous visits, many cups of coffee, desserts and laughs were shared. Her kitchen was warm friendly and welcomed to anyone! She also looked forward to phone calls from many who checked in. Mom, you thought you were blessed, but we were the ones blessed to have a mom like you, who showed us how to love, respect others and be thankful for what we have. Doris is survived by her six children, Ronald (Sue) Holman Billings, MT, Donovan (Billie Rae) Holman Malta, MT, Sherrie (Craig) Ottinger, Malta, MT, Barbara (Harvey) Fladland Billings, MT, Suzie (Bim) Oxarart Malta, MT, Mark (Ronna) Holman Malta, MT, 13 grandchildren, 24 great grandchildren and 6 great great-grandchildren. Doris was preceded in death by her beloved husband Clifford Holman, father Stanley McNamara and mother Clara McNamara; brother, Richard McNamara and grandson Matthew Holman. The Brezina and Holman families go way back in time. The Brezina and Holman kids all grew up together. May you all find peace in your Mother's passing. God Bless you all! Rest in peace Doris! My deepest condolences to all the family.